Awww, adorable!!!! 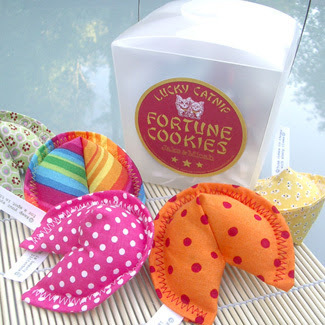 Jake and Micah have these super cute handmade fortune cookie toys. This set comes in a super handy Fortune Cookie Takeout-Box, these really couldn't be any cuter.